Time management may be one of the most consistently underrated aspects to test-taking: simply put, your time is finite. If you spend too much of that time on any one question, then you may miss out on five questions you otherwise could have answered. How should you better manage your time? Make notes next to questions you want to skip for now—being sure to carefully reference this skipped question so as not to put down the wrong answers elsewhere. Give yourself an opportunity to answer the questions that make the most sense to you so you can optimize your answers on the challenging ones. You likely already know that it’s a bad idea to “cram” the night before a test. UCLA researchers say it’s a bad idea. But sleep should be a part of your strategy throughout your SAT/ACT preparation as well. The reason? Sleep helps you codify memories. Think of sleep as your brain’s way of entering in the new information you’ve learned while you studied. Studying and sleep go hand-in-hand. You can’t have long-term improvement without one or the other. Make good quality sleep a priority. In game shows like “Jeopardy!” you’ll notice context clues provided at the beginning of a question can help you arrive at an educated guess. The same is true of the ACTs and SATs, to a lesser extent. For example, if the context of a question notes a specific frame of time, then you might conclude some things about the answer based on who the notable people were from that time period. While some questions won’t provide much in the way of context, there are always clues you can ascertain simply from the subject of the question itself. When in doubt, it’s always better to make an educated guess than no guess at all. If you struggle with test-taking despite knowing the material, you might simply need a preview of the testing environment. 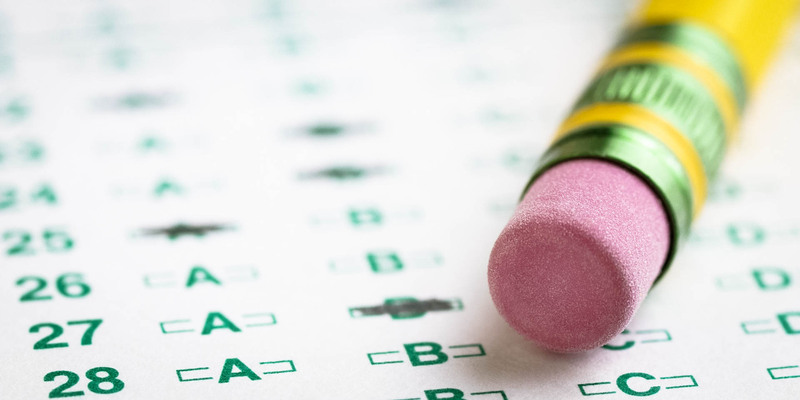 Take practice tests to rehearse the actual feeling of taking one of these college entrance exams. Not only will these practice tests help evaluate your overall knowledge and test-taking skills, but they’ll help you prepare mentally for the act of testing itself. Don’t be afraid to look for outside help. At Jantzi, we provide ACT and SAT prep courses with a guarantee that if you perform the work and re-take an exam within 30 days of finishing our course, you’ll improve your score. Browse our locations to find a prep course within your area and register for a class that fits your price range—you’ll be sure to learn plenty of material that will help you conquer the college entrance exams and improve your chances at landing the college of your dreams.